NAIROBI, Sep 21 2018 (IPS) - The world’s most important meeting is underway in New York, providing yet another opportunity for world leaders to discuss a wide array of issues such as peace, security and sustainable development. And experts stress that the role women have to play in addressing these issues cannot be over-emphasised. “Of the six United Nations organs, it is only at the General Assembly where member states have equal representation with each nation having one vote, so issues discussed at the forum tend to be very critical and central to global development,” explains Grace Gakii, an independent consultant on gender issues in East Africa. The 73rd session of the U.N. General Assembly (UNGA) is being held in New York, United States, starting on Sept. 18th and running through to October. “There are expectations that the high level meeting will also provide a platform to address issues of gender equality and women empowerment,”Gakii tells IPS. The meeting comes amidst heighten efforts by the U.N. towards gender parity among its staff across all levels of its employment structure as well as through its work. A number of U.N. entities are already showing impressive progress towards a more gender balanced workforce in the period spanning 2007 to 2017. The Food and Agriculture Organization of the U.N. (FAO) has particularly been lauded for progress made towards gender parity within its workforce. “We have no doubt that gender equality can have a transformative as well as multiplier effect on sustainable development, climate resilience, peace building, and drive economic growth,” Maria Helena Semedo, FAO deputy director general, Climate and Natural Resources, tells IPS. Since the organisation’s director general Jose Graziano da Silva took office in 2011, it has not been business as usual as gender issues are taking centre stage. “FAO works to support women as agents of change to help harness this untapped potential. We have been striving to recruit the best possible talent to help meet our gender parity objectives,” Semedo affirms. A U.N. system wide action plan on gender parity within this organisation indicates that: “As of the close of 2017, 41 percent of all international posts were held by women, the organisation’s highest representation of women in 10 years.” Moreover, when it comes to junior positions within the organisation, FAO has achieved gender parity. “These trends point to an organisation that is keen on pushing for gender equality, equity and essentially women empowerment in its structures. Such robust efforts to engender its workforce will without a doubt impact greatly on the work that FAO does with rural communities,” Gakii explains. Against this backdrop, according to the U.N. Entity for Gender Equality and the Empowerment of Women (U.N. Women), the entire U.N. system is not far behind. One year into secretary-general António Guterres’ strategy to improve gender parity within its system, for the first time in the history of the U.N. there is now gender parity in top leadership. “We will continue working to translate our success at having more women in senior staff positions. We also strive to have a friendly work environment for both male and female staff, with zero tolerance to sexual and power harassment in line with the secretary-general’s direction,” Semedo says. Subbo is an associate professor at the Institute of Anthropology, Gender and African Studies, University of Nairobi. That notwithstanding, experts are optimistic that as FAO continues its robust push for a more equitable society, this will have a more significant impact on food security, agriculture and rural development—particularly as climate change continues to impact on the world’s ability to feed its people. The report further details the extent to which climate change will impact on the ability of many world regions to produce food as well as influencing trends in international agricultural trade. “Today, agriculture and food systems face an unprecedented array of challenges and our most recent numbers show that hunger is on the rise with the greatest vulnerability being amongst rural women and girls,” says Semedo. Associate Professor Subbo is emphatic that without readjusting labour market structures for better representation of women, it will be impossible to comprehensively address the most pressing global needs. He says that labour market structures are inherently skewed in favour of men, making it difficult for women to influence policy and decision-making processes. “There is a need for a global momentum to speak to gender issues and especially the role, place and representation of women in the labour force because women are important pillars of the economy,” Subbo tells IPS. He says that the fact there are now more women working in many sectors of the economy has served to mask an uncomfortable truth. “You will find these women at the bottom of the career ladder, they are the labourers in farms but absent in the boardroom,” he says. Take for instance the agricultural sector, FAO indicates that the face of farming is still very much female comprising at least 45 percent of the agricultural labour force in developing countries. In parts of Africa and Asia, women’s representation is much higher contributing at least 60 percent of the labour force. The numbers are even higher in countries such as India where 79 percent of the female rural workforce is in agriculture. 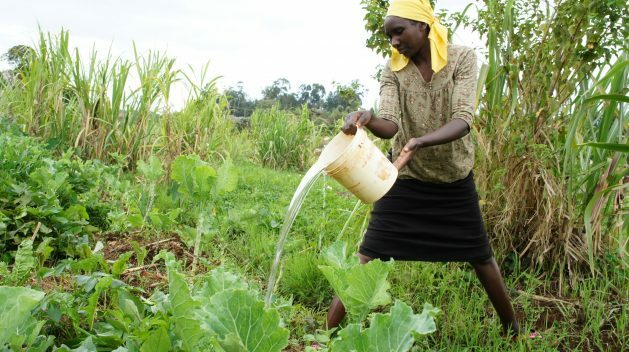 “Even though a significant majority of the labour force in the agricultural sector is largely female constituted, women hold only 14 percent of the managerial positions,” Gakii expounds. She says that as the world grapples with food insecurity, it is worrisome that women are also at the periphery of services that are crucial to the productivity and sustainability of rural economies. According to FAO, only an estimated five percent of women have access to agricultural extension services. This is despite the significant role that the agricultural extension officers play in bringing advances in technology and better farming practices closer to farmers. With fewer women in managerial and other such influential positions, compared to men, women receive fewer and smaller loans. Alice Wahome is an elected member of parliament in Kandara Constituency, Murang’a County, Kenya. She is the first woman to be elected to parliament in the county, and tells IPS that there is an urgent need to engender leadership across institutions and in key pillars of the economy. “Promoting leadership that understands gender issues, the intricacies of gender and development does improve the participation of women at all levels of the workforce,” she observes. More importantly, “their participation accelerates development at all levels,” Wahome says.